I don't like scary movies. Never have. I can't even watch a horror movie trailer without covering my eyes and hyperventilating. Something about an over active imagination and never being able to be alone in the dark if I see them. So, I'm not really sure why I thought going to a play called The Haunting was not going to give me nightmares. The Haunting is about a young man who appraises and sells books. A client of his company dies and he goes out to appraise the dead man's collections in his personal study. The house ends up being haunted and the dead man's son and the book appraiser try to figure out why. There are ghosts, eery music and a child's voice - which, let's be real, is the creepiest thing ever. Child ghosts or demons or whatever - are terrifying. For the first 20 minutes of the show I was not scared, I was slightly bored. And then this thing happens which scared me so bad I almost cried and it was all downhill from there (for me, the rest of the audience seemed to enjoy being scared - a fact that never ceases to amaze me). It seems like my fear of scary movies also translates to the stage, which is unfortunate because the story lines are somewhat fun and now it turns out I can't watch them in any form. If you like them though, this is definitely the play for you. 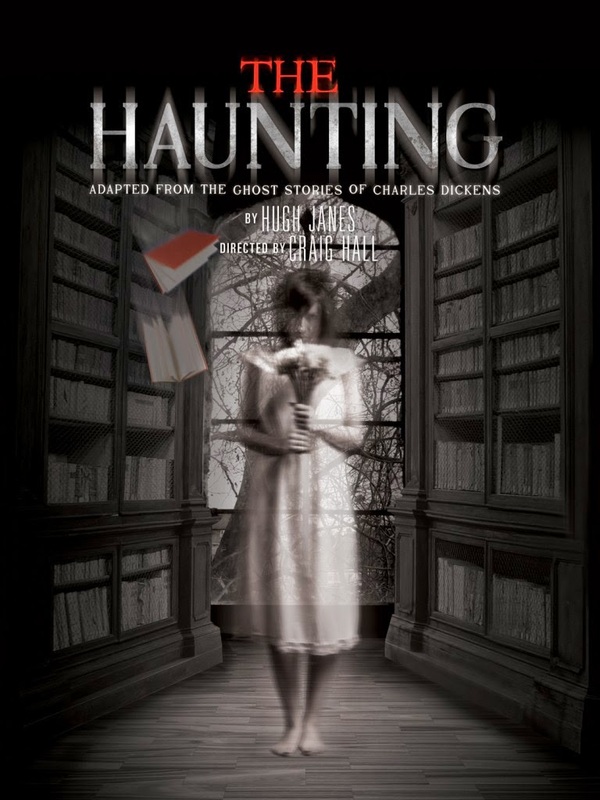 The Haunting runs until April 12, 2015 at Vertigo Theatre in Calgary. Click here for tickets.